Barb Slone | Greene County News Girl Scouts and families say the Pledge of Allegiance during the 60th anniversary memorial service at Angels’ Pass Memorial March 17 in Beavercreek Community Park. On March 18, 1959, eight Girl Scouts and two leaders from Troop 133 were returning from working on a badge at the Xenia Library when their vehicle was struck by a train while crossing the Factory Road tracks. No one survived. A family member of one of the victims holds flowers during the flower laying ceremony. A Girl Scout looks up into the sky as taps plays and snow falls. A member of VFW Beavercreek Memorial Post 8312 plays taps. 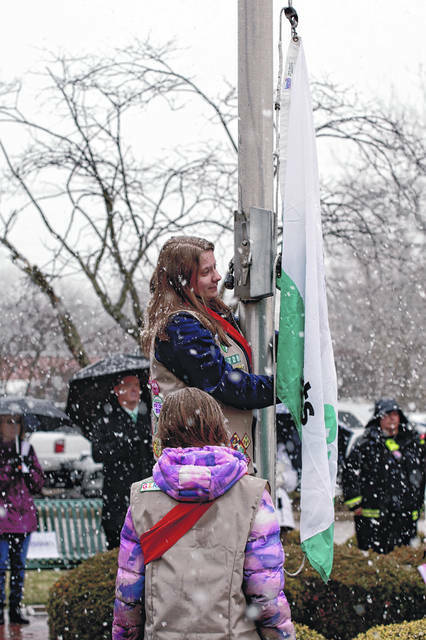 Girl Scouts and families say the Pledge of Allegiance during the 60th anniversary memorial service at Angels’ Pass Memorial March 17 in Beavercreek Community Park. On March 18, 1959, eight Girl Scouts and two leaders from Troop 133 were returning from working on a badge at the Xenia Library when their vehicle was struck by a train while crossing the Factory Road tracks. No one survived. 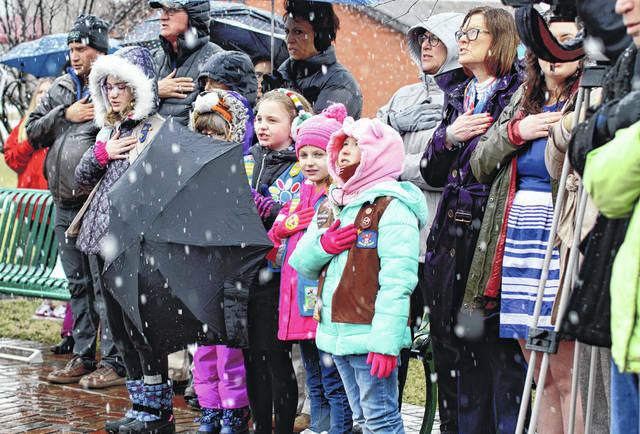 https://www.fairborndailyherald.com/wp-content/uploads/sites/50/2019/03/web1_ScoutsPledge.jpgBarb Slone | Greene County News Girl Scouts and families say the Pledge of Allegiance during the 60th anniversary memorial service at Angels’ Pass Memorial March 17 in Beavercreek Community Park. On March 18, 1959, eight Girl Scouts and two leaders from Troop 133 were returning from working on a badge at the Xenia Library when their vehicle was struck by a train while crossing the Factory Road tracks. No one survived. 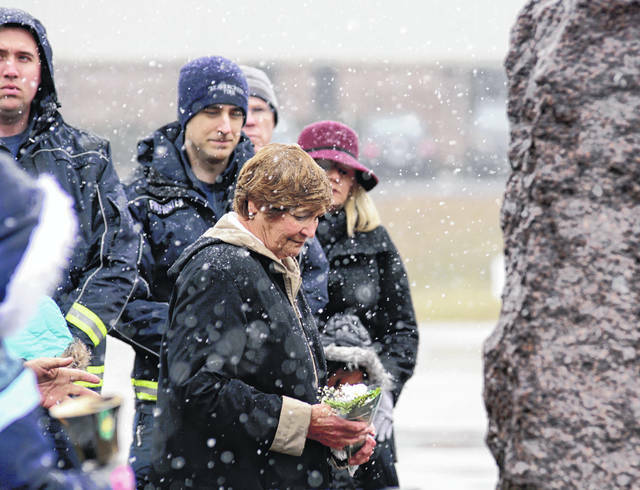 https://www.fairborndailyherald.com/wp-content/uploads/sites/50/2019/03/web1_VictimFamily.jpgA family member of one of the victims holds flowers during the flower laying ceremony. 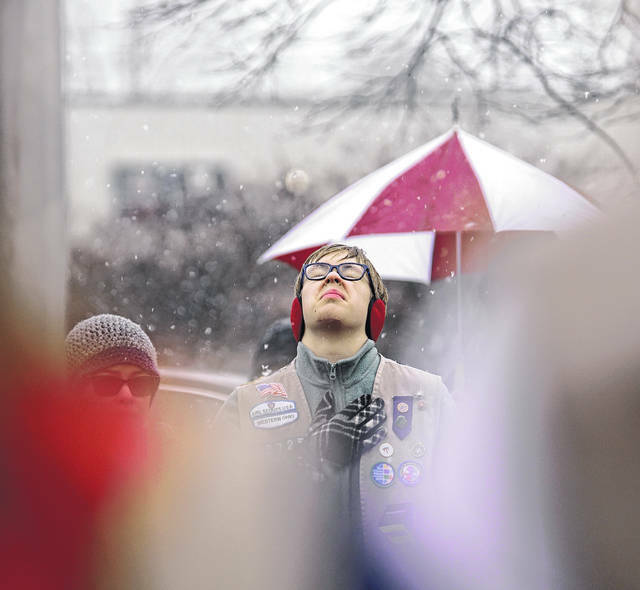 https://www.fairborndailyherald.com/wp-content/uploads/sites/50/2019/03/web1_GirlScout.jpgA Girl Scout looks up into the sky as taps plays and snow falls. 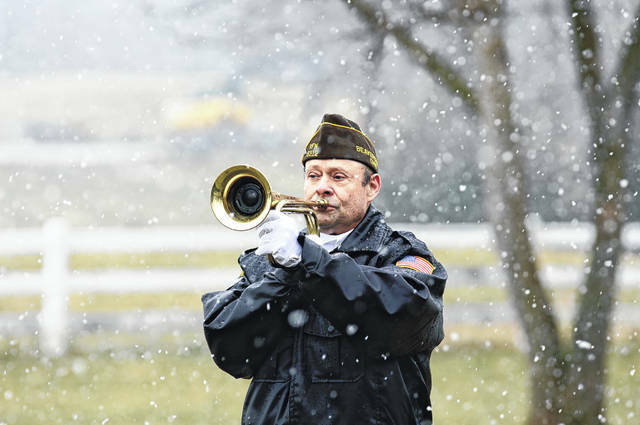 https://www.fairborndailyherald.com/wp-content/uploads/sites/50/2019/03/web1_BcreekVFW.jpgA member of VFW Beavercreek Memorial Post 8312 plays taps.